Please arrive at rehearsals in sufficient time to be ready to start playing at 7.30pm prompt! Rehearsals run until just before 10pm, with a short interval around 9pm, when coffee, hot chocolate and biscuits are available at a small charge. The orchestra is responsible for setting out chairs prior to each rehearsal, and for re-instating the accommodation at the end, so if you are able to lend a hand with this, that would be greatly appreciated. Many hands make light work ! In order to make best use of our rehearsal time, we are using a web-based chart that allows everyone to indicate their attendance or absence at each rehearsal over the session. The orchestra constitution states that members should commit to achieving at least a 70% attendance record over each session. While we can’t plan for every eventuality, it is important that we all make every effort to be at each rehearsal wherever possible. Members will be given a link to the Doodle Poll in the start-back letter, which will come out in late August. The first time you access the Poll, you will need to enter your name in the table. Then, for each rehearsal date please tick the box if you will be attending the rehearsal. There is no longer any option for possible attendance. When you are finished, click on the “Save” button underneath the date options, on the far right of the page. To modify you entries (for example, if you find that you can no longer attend a rehearsal), then simply return to the Poll using the email link. 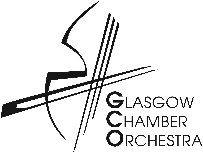 The Orchestra now rehearses in Balshagray Victoria Park Church, located at Broomhill Cross, G11 7PZ, in Glasgow’s West End. Access to the hall is via the door on Broomhill Gardens, up the right hand side of the church building. Parking is free on the hill and on the nearby streets, but it is a busy area, so parking can some times be tricky! Prior to each concert, the orchestra will endeavour to hold the final rehearsal at the concert venue, to give everyone a feel for the acoustic. 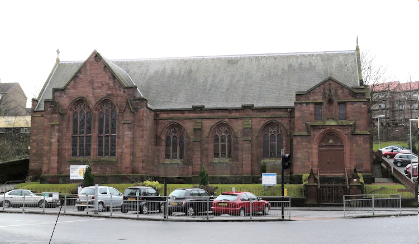 Our main rehearsal venue is located in the halls of Balshagray Victoria Park Church, Broomhill Cross, G11 7PZ. Entry is by the top door on the Broomhill Gardens side of the church (right hand side as seen in the picture above). All rehearsals start at 7.30pm prompt, unless otherwise stated. Note : Further details on rehearsals will be added as the session proceeds.